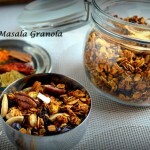 Creating recipes with a cause! Welcome to Delish and Fun Thursdays!!! A lovely red quinoa salad recipe today! Cleanse your bodies with wholesome Salads with the DFT team, this week! A salad gets interesting only when the dressing tastes good, don’t you think? I made some quinoa salad combined with some greens and celery, and decided to add some zing with a homemade dressing with sesame seeds and lemon juice. This salad is rich in protein and makes a meal by itself. No sugar in any form, so perfect for diabetics too! It is a complete protein source, due to the presence of amino acids lysine and iso-leucine. It is also supposed to have health-supportive fats, in the form of oleic acid, a heart-healthy monounsaturated fat, and alpha-linolenic acid or ALA—the omega-3 fatty acid, associated with decreased risk of inflammation-related disease. Red quinoa can be cooked easily on stove top by adding 2 parts water to one part of quinoa. I use a pressure cooker and add 1 1 /2 parts water for one part of quinoa. 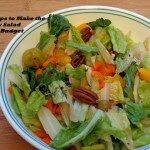 Vegetables pickled in vinegar make an easy and tasty addition to salads. Make sure you buy something without added color and preservatives. Ingredients to avoid are: yellow food color, sodium benzoate and sulfites. While you are here, do check out this comprehensive link from Cooking Detective to incorporate 23 different Superfoods in the diet. red chilly flakes- 1 tsp. dried Italian spice blend- 1 tbsp. extra virgin olive oil- 2-3 tsp. 1. Toast sesame seeds in a dry pan on low flame till they turn light brown. 2. Blitz along with the other dressing ingredients in a small blender, till smooth. If needed, some water/vinegar can be added to blend it. 3. Toss the salad ingredients together except the toasted almonds which can be used as garnish while serving (to retain crunch). 4. Add a little of the dressing to the salad and serve the rest in small cups. Ready made Tahini paste can be used instead of making it at home too. 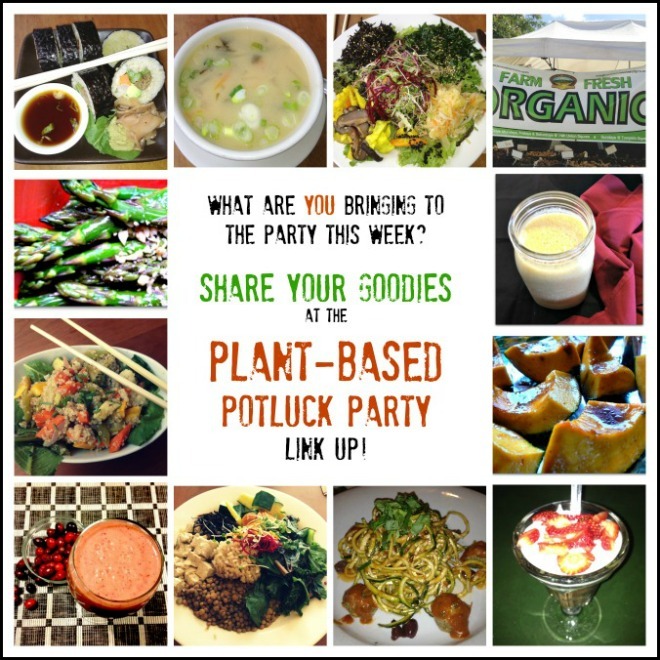 Sharing this at the Vegan Potluck Link Up #49 at Urban Naturale. Absolutely! I love the little grains and their texture. Thank you, Chahat. This looks really yummy, Apsara! I have just recently discovered quinoa, and like it. It was great to read what the health benefits are. 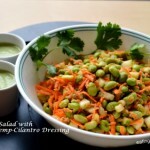 Your dressing sounds delicious, and I love the ingredients in the salad! thank you so much, Shari. I too love this grain! How very creative Apsara! Loved the recipe and the clicks as well. Thanks, Prachi. I do hope you give it a try. Beautiful !!! 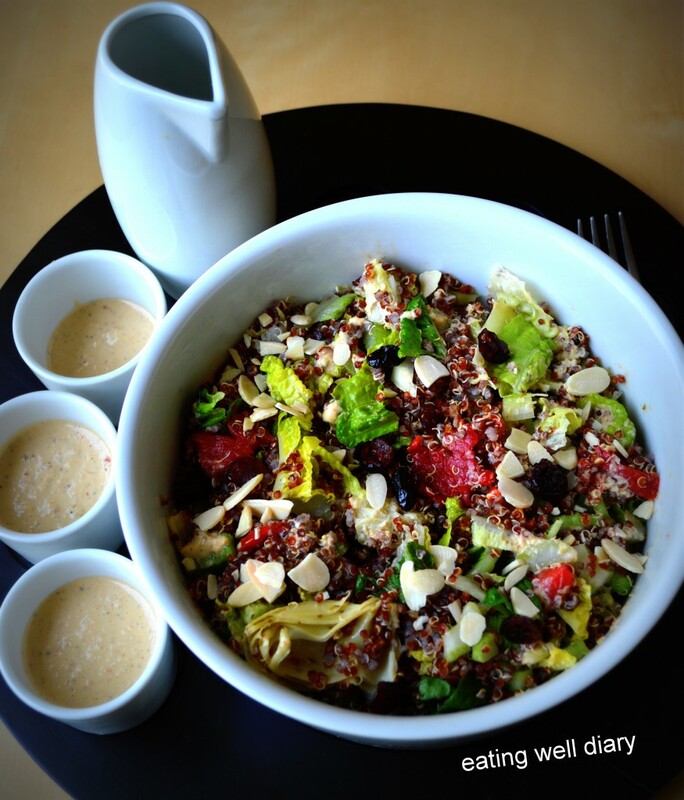 I love red quinoa and the combination with lemon tahini is definitely something to try for ..
thank you, Parvathy. The dressing does make it flavorful. amazing.. Yet to explore red quinoa.. superb Apsara. thank you, Sri. I like the nutty flavor of red quinoa over the white variety in salads. Its looks beautiful and super delicious! So colourful, so healthy, so tasty!!! 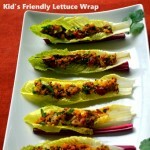 Love the dressing, tangy and nutty!!! I have always loved red quinoa. It is so hearty and chewy! 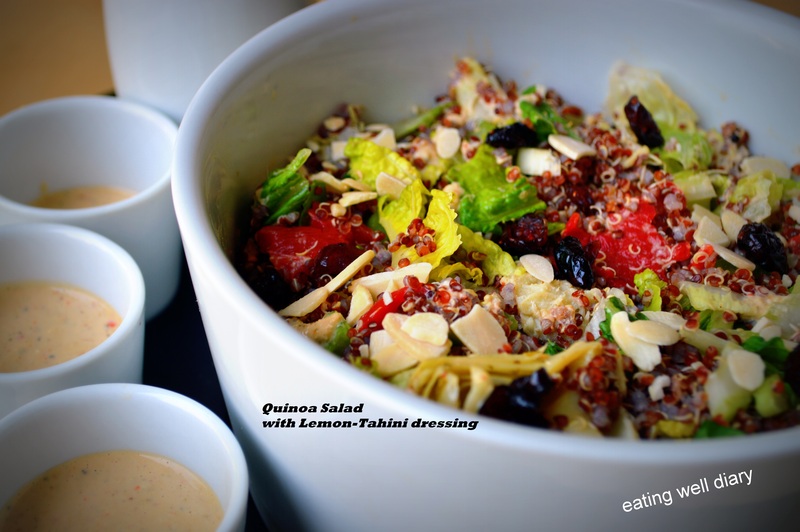 It is one of my favorite healthy, comfort foods so I am delighted that you shared your healthy and delicious Red Quinoa Salad with Lemon-Tahini Dressing recipe with us on the Plant-Based Potluck Party Link Up. I appreciate it and I can’t wait to try your recipe. I’m pinning and sharing. What an awesome protein packed salad! Both quinoa and Tahini are my favorites! Perfect for lunch!